The Philips Respironics UltraFill home oxygen filling system delivers up to 40 percent more oxygen when you need it most. The UltraFill is a high capacity (3,000 PSI) cylinders deliver more than 40 percent more oxygen than comparably sized standards cylinders, you can spend more time doing the things you love – more time with the family, more time being out and about. The UltrFill system also gives you added flexibility and convenience with a wide selection of standard (2,000 PSI) and high-capacity (3,000 PSI) cylinders that allow you to select a size and capacity that best suits your lifestyle. UltraFill is ultra-convenient too. The system allows you to generate oxygen and fill cylinders in your home – no need to wait for deliveries. And you can fill those cylinders and receive oxygen therapy simultaneously. There is no need to switch devices during the filling process. 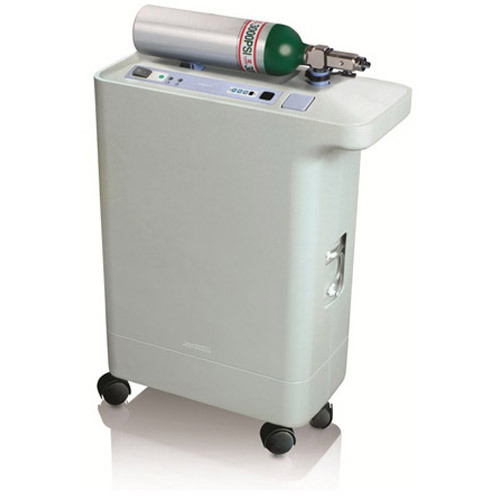 When choosing Oxygen Choice you have the confidence that your oxygen concentrator, whether it be the Ultrafill Philips Respironics Oxygen Filling System or a different model, it will be delivered to your door by a trained technician who will explain all aspects of your machine including initial setup, recharging, power management, safety tips and oxygen settings. It’s all part of the our service.